Caridina cantonensis is a small shrimp found in Asia. It has been selectively bred for its beauty and variety and is very popular in the aquarium hobby. The history of of this shrimp’s genetics is complex and mysterious. 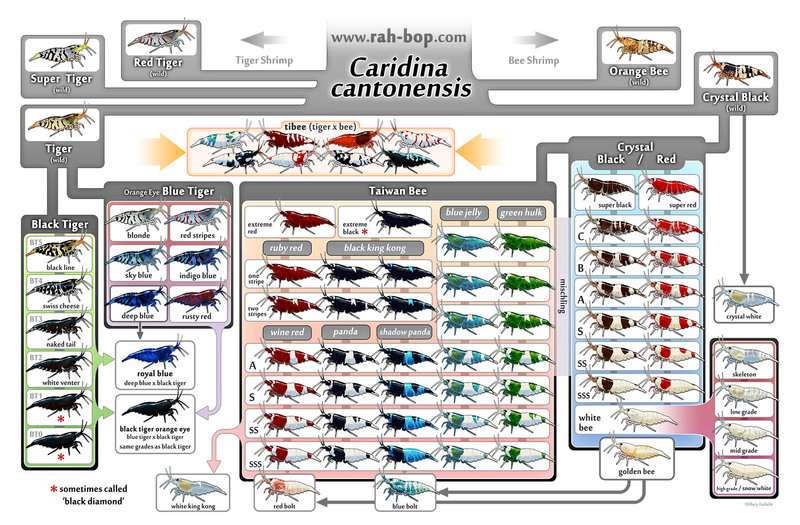 This diagram is meant as an aid to understand the interrelationships of many common (and uncommon) breeds of C. cantonensis. Buy a print.